300 years ago, when islamists carried out their adharmic islamic project to convert native Bharatiya in Kashmir, natives had the wherewithal to resist. They could then very clearly see that Aurganzeb was foisting Adharma and they had to take a stand for Dharma. Today because of the propagation of adharmic concept of sickularism which essentially is a cover for totalitarian (isai-islami-laal) dogmas based fascism, natives have not been able to bear the brunt of this evil. Original natives of Kashmir were forced out by islamic Gun and the Indian state at best has provided only lip service. BJP offers sympathetic ears. CON party is reluctant to even offer that. 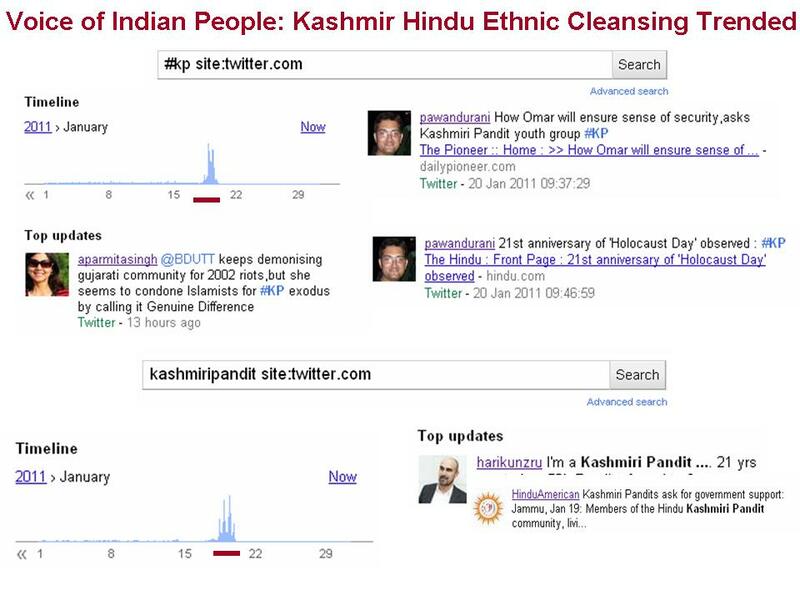 What can Kashmiri Hindus do. They have faced the brunt of islamic hate. Dont buy lip sympathy to your ethnic cleansing. Ask the ‘so what’ question to those that proffer lip sympathy? Ask what have you done to de-legitimatise sickularism, islamic dogma responsible for your plight? Ask what have you done to amend articles 25 to 30 in Indian Constitution that enable sickular hate and create an environment for subjugation of Bharatiya? There will be those that will tell you, dont peddle victimhood and move on, a sermon sickulars would never make to isai or islami. Tell them that reclaiming your dignity and space is not victim-hood. Dont get conned by multiple layers of deception woven around sickular narrative. Call it out for what sickularism is – clear and present evil. Dont expect some great hero will come out and fix your problems without effort from your side. This is a mistake many Indians do and has to be avoided. And face it Bharatiya are friendless. Most of the so called secular/humanitarian organizations have an agenda and unlikely to go beyond offering lip sympathy. Ditto for sickular controlled media. Challenge for Bharatiya remains organizing themselves for their own welfare and Dharma’s wellbeing. If Indians had learnt the right lessons from partition, Kashmir would not have happened. Sickularism ensured that in less than 2 generations time (1947-1989), ethnic cleaning happened in Kashmir. Ethnic cleaning of natives would happen again and again unless natives do not call out the sickular bluff; recognize & undermine desert dogmas for what they are – intolerant hate towards non-believers. It is incumbent on anyone who is Bharatiya and cares for Dharma to take a stance against sickularism. Mind-boggling support for Terror Courier Service of Binayak Sen – Why? Foreign funded IBN Lies Live has a history of undermining native Indians. A section from their news program is provided here. The interplay of connections, by no means exhaustive that monopolise mass manufacturing falsehood is presented here. Interplay of IBN Lies Live, Editor Sagarika Ghose’s connections is provided here. It appears that family connections rather than merit propelled Sagarika Ghose to the editorship of IBN Lies Live. And of course Rajdeep Sardesai family proudly funds christian fascist worldvision which under the cover of social service does serious jesus evangelism. More on world vision which is led by Congress party Rajya Sabha MP, Radhakant Nayak (christian with Hindu sounding name) here. And we will see Rajdeep Sardesai with a straight face claiming his channel is unbiased and will talk about the propriety of dynasty politics. Touche! Joke is on us, those who watch manufactured deceit from IBN Lies Live! Suppress the truth is among first cardinal principles of totalitarians. NDTV with close connections to communists has repeatedly practised this principle. Here one can see how they have influenced Vanity Fair magazine to suppress the truth of their dirty role contributing to casualties/placing in danger innocents during Mumbai terror attacks of November 26, 2008 carried out by islamic terrorists. Vanity Fair carried an article by Marie Brenner, Letter from Bombay capturing the related events. Original Version had following contents highlighting NDTV barkha dutt’s dirty role enabling islamic terror. Once the truth was pointed, NDTV got to work, got the original version of Marie’s post censored. Now the Doctored Version alone can be seen at Vanity Fair site with the reference to Barkha dutt removed. Barkh Dutt’s deceits for islamofascists and against Indian natives is not new. It can be seen as NDTV abused Native Indian God Durga, abused Native Indian Gujaratis and undermines India through disinformation. Major chunk of Indian media has long been a roguish one dealing directly in deceit. The interplay of connections, by no means exhaustive that monopolise mass manufacturing falsehood is presented here. India is incidentally a strange place where all the totalitarian dogmatic trinities islam, communism, xianism converge. There is no short cut but citizen vigilance which can defeat the above forces of totalitarian dogmatic evil. Update: November 26, 2009: On the first anniversary of Islamic terror attack, Chief chef of Taj Hotel referred to rogue media’a islamic terror boosting role.